Finally, the WWDC 2009 Keynote section has ended. Let us see what apple bring us in this every first event without Jobs. Yet, the every first thing I would like to talk about is how I’ve been chasing ths event up. The keynote was no permitted for live broadcasting, so all I got are several web-pages and some twitter accounts, among which are @apple4us on twitter, egadget.com, macrumors.com and live.gizmodo.com. Throughout all these sites, the last one I mention turns out to be the best web reporter. It has got two or three reporters, some nice live pics with nice scripts, a self-refresh page updating the latest highlights automatically, and sometimes very amusing comments on the presentation and the products. In another word, this reporter presented a perfect word-based event report with a user-friendly page. The macrumors.com has a self-refresh page without any pics; Egadget’s content are quite nice, yet I have to refresh it every 1-2 minutes. apple4us is a blog run by Chinese mac fans, they use fanfou.com and twitter.com to do the report and integrated these two micro blog site with their special report page. Yet their updates lacked details, and no pics at all, however I can get the self-refresh feature though friendfeed.com. The good point of using micro blog is that you can communicate with your audience easily. By the way, I get to know live.gizmodo.com through @notasausage’s tweet. As you can see, now the web is really turning into a powerful media by using those popular techs and services. Now it can provide good reports of conferences and make the audience seem to be in the live auditorium, then what is next? 2. 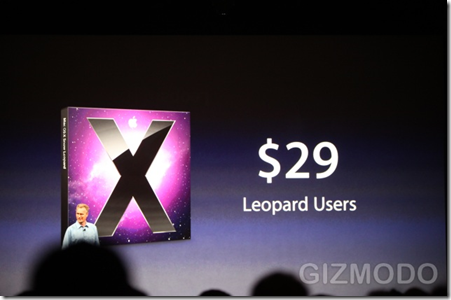 Snow Leopard OS and Macbook updates. I only used the Mac OS for one term design course in MSSU. The system is very impressive, especially the good looking interface and fancy effect when I minimize the windows are quite enjoyable. Yet a PC user(not a geek like me) definitely need some time to get use to the OS. The Snow Leopard makes speed improvement, new dock features and several updates for safari 4, quicktime player and mail. All the new features sound, and look like, very disrable for me. And now Apple calls all the aluminum laptop (13”,15”,17”) as Macbook Pro except the thinnes Air. It also updated the battery of the 15” and gave all 13”s a backlit keyboard. And Macbooks now has hand write input from the touchpad, including Chinese! Another exciting news is that all the Macbook Pro and Air are $300 cheaper then the old price. Plause! I am now considering seriously to but a Macbook, a small and light one that i can carry around. This part really disappointed me, very much. After a ridiculously long time of demos by the third party developpers, the lectuerer shows us a bunch of so called new features of iPhone 3GS, including the enhancement of speed, voice control, auto fucosing video camera, digital campass and blablabla. No New Design! No from camera. 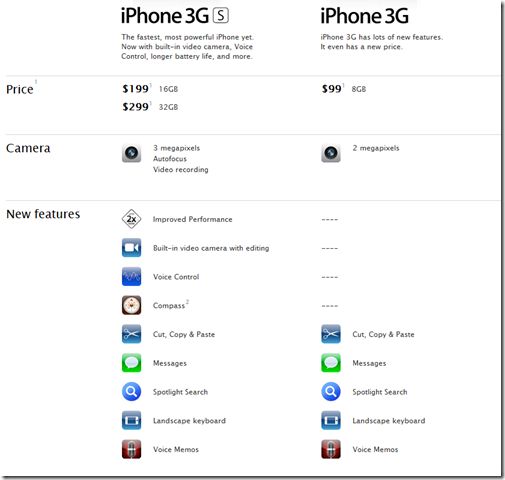 And new users to iPhone still new $499 to get the iPhone with long term contract. 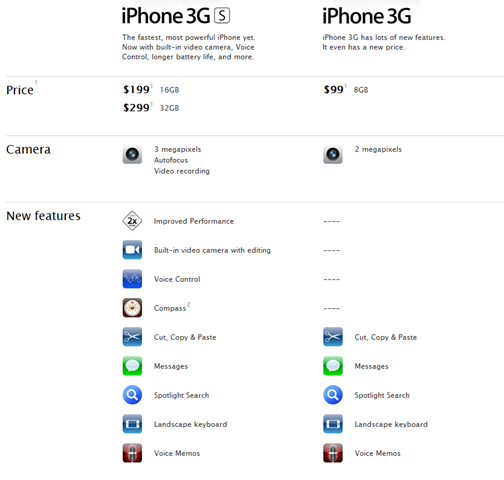 Who the hell will buy the new one when the old iPhone 3G’s price is only $199 or even lower? However, the new iPhone OS 3.0 seems very interesting, with a lot more APIs like push notificatoin and in app payment, I think, more developers, including me, will get a iphone or itouch to try some cool stuff out of them. Yet these OS feature won’t apeal to the large group of normal customers. They are only intereting to developers like me. 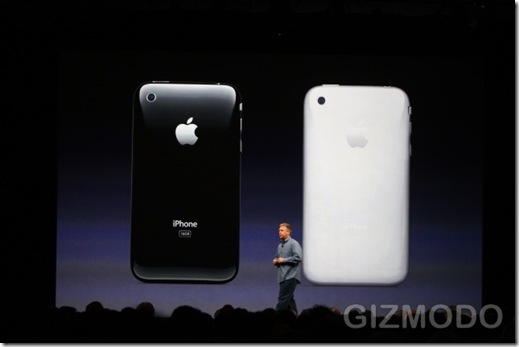 So i don’t think the iPhone 3GS is a very successful one compared to the 1st and 2nd genertion fo iPhones. The entry 'WWDC 2009' was posted on June 8th, 2009 at 10:45 pm	and last modified on August 29th, 2009 at 4:53 pm, and is filed under Observation/评论. You can follow any responses to this entry through the RSS 2.0 feed. You can leave a response, or trackback from your own site.